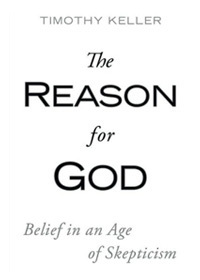 From USA Today: Science and faith, the British way, an opinion piece by Mark I. Pinsky. Some of the most prominent researchers in England enjoy a vibrant religious life that coexists with their immersion in the scientific world. Indeed, these evangelicals might give American believers, and scientists, something to think about. 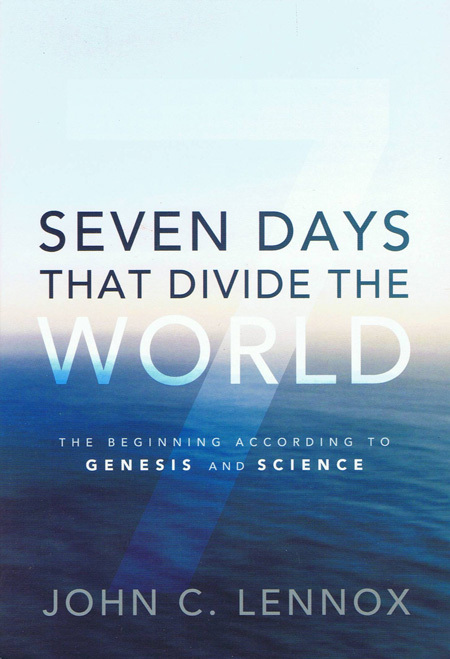 Pinsky, a Jewish journalist who has written much about American Evangelicals, states that he wanted to explore how the tension between science and religion played out in other cultures. 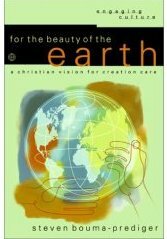 He traveled to Britain, where he interviewed prominent scientists who professed faith in Christ, including Sir John Houghton (meteorologist, global warming expert), Sir John Polkinghorne (astrophysicist, Anglican priest), Simon Conway Morris (paleontologist), and others. I asked these scientists the sources of their belief, and the answers they gave me were intriguing to someone who for years has been more immersed in the world of American evangelicals, where I frequently found that hostility toward science seemed to be the norm in public controversies. These Brits cited a disparate mixture of empirical scientific evidence and the veracity of Scripture for their Christianity, based equally on science and faith. First, they say the likelihood that intelligent, carbon-based life originated in the universe by chance is infinitesimally minute. And second, they proclaim their belief in what they accept as the firsthand, biblical accounts of Jesus’ life, death and physical resurrection. All of these scientists are theistic evolutionists–scientists who believe that God used evolution as his means of bringing life to its present state–yet proclaim their acceptance of the Scriptural witness to the life, death, and resurrection of Christ. In general, they include science as part of the reason that they are Christians. They accept evolution as a process, but cannot see the first cell as having originated purely by chance. I have read a book by Conway Morris, Life’s Solution: Inevitable Humans in a Lonely Universe, but I haven’t read works by the other authors. 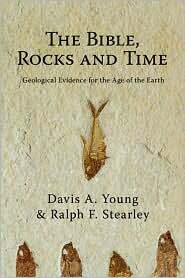 Conway Morris sees both young-Earth creationism and intelligent design as faulty, but is equally critical of the atheistic materialism of fellow paleobiologists Stephen Jay Gould and Richard Dawkins. Here in the U.S., these men might be denounced by many Evangelicals as compromisers with atheistic evolutionists. 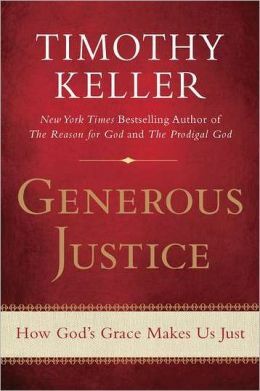 But we need to ask ourselves whether we are often guilty of the opposite extreme of creating dissension between science and faith in places where it is not necessary. 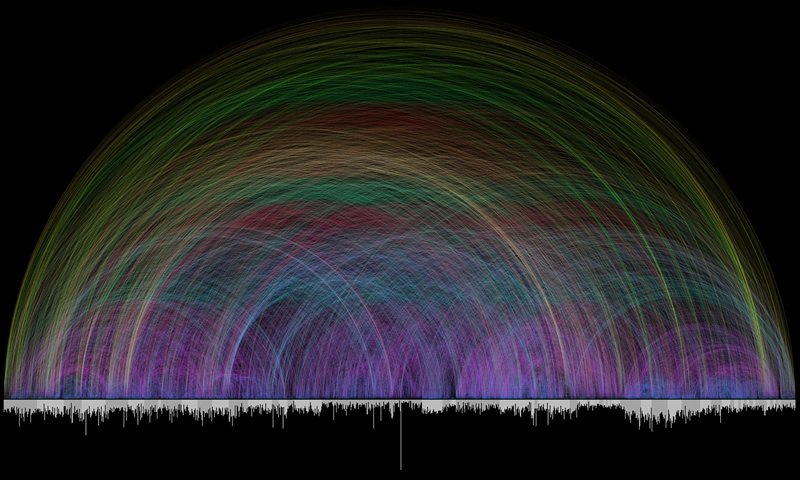 Chris Harrison, of Carnegie Mellon University, and Christopher Romhild, of Nordelbische Evangelisch-Lutherische Kirche in Germany, have created a graphic that shows 63,779 cross-references between different portions of the Bible. The colored lines are the cross-references. 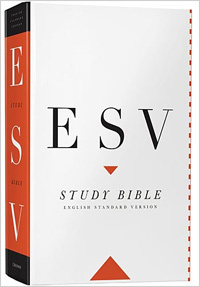 The white bars at the bottom represent the number of verses in each individual chapter of the Bible; the long white bar at bottom center would be Psalm 119, which has 176 verses. 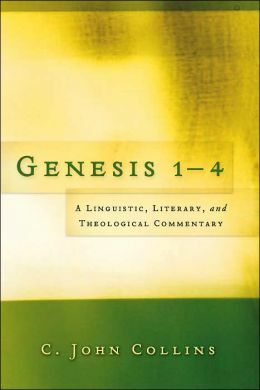 Cross-references: Some Bibles have cross-references in the margins, or between the columns, that point the reader to related passages in the Bible. For example, for Revelation 2:7 (To him who overcomes, I will give the right to eat from the tree of life, which is in the paradise of God. (NIV)) there is a cross-reference that points me to other places in the Bible where the tree of life is mentioned, such as Genesis 2:9. The United States has large reserves of natural gas. We can greatly reduce our dependence on foreign oil by using CNG to fuel our cars. Gasoline engines can be converted to run on CNG. This is common in Europe; our old van in Romania (the Party Van, as it was affectionately known) was converted to CNG by the man who bought it from us. The technology is proven and conversion could be rapid. There are few gas stations that offer CNG, so it is difficult to find places to refuel. You can have a refueling station installed in your home, using your natural gas line, which would be adequate if you use the car for local trips only. The long-term energy supply for transportation needs to be clean and sustainable. Natural gas is a limited natural resource, so CNG would, at best, be only a short-term solution (on the order of decades?) to our transportation energy problems. Additionally, increased drilling of natural gas has environmental implications that need to be considered. Newman sometimes teamed with his wife and fellow Oscar winner, Joanne Woodward, with whom he had one of Hollywood‘s rare long-term marriages. “I have steak at home, why go out for hamburger?” Newman [said] when asked if he was tempted to stray. What a great perspective on faithfulness in marriage. In Europe, gas mileage is expressed in liters per 100 km. Growing up with miles per gallon (mpg), this was a double assault on my abilities to convert units, and it never made sense to me. RealClimate has a post on the case for going to the same concept in the United States: The mpg confusion. Using gallons per 100 miles, rather than miles per gallon, actually allows for more meaningful and intuitive comparisons between cars. The current mpg system isn’t a linear relationship, which means that a small improvement at the bottom end (SUVs) actually makes a greater difference than a big improvement at the high-efficiency end (compacts). Some advocate using gallons per 10,000 miles instead, as this gives the buyer an idea of how much gasoline will be used in a year. If one were to replace their typical SUV with a hybrid SUV, the gas mileage increases from 12 mpg to 18 mpg. This six mpg improvement is actually more significant than the 21 mpg improvement one gets from replacing the typical compact with a Prius! This is especially evident in the last three columns of the table. The SUV buyer saves 270 gallons (or $945) every 10,000 miles by purchasing a hybrid. The compact car buyer saves 180 gallons (or $630) every 10,000 miles by purchasing a hybrid. This is easier to see with gal/100 mi (or gal per 10,000 mi, or cost per 10,000 mi) than it is with mpg. This also shows the importance of weaning our society off of non-hybrid SUVs. Of course, the SUV driver would do even better to replace their car with something smaller. By replacing their SUV with a hybrid compact, they would save 610 gal, or $2135, every 10,000. 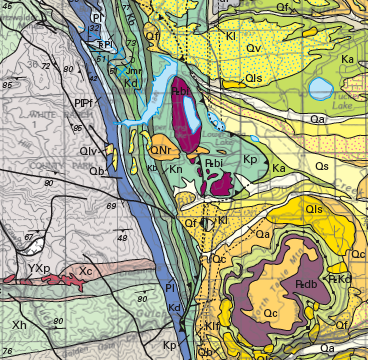 The US Geological Survey has published the Geologic Map of the Denver West 30′ x 60′ Quadrangle, North-Central Colorado. 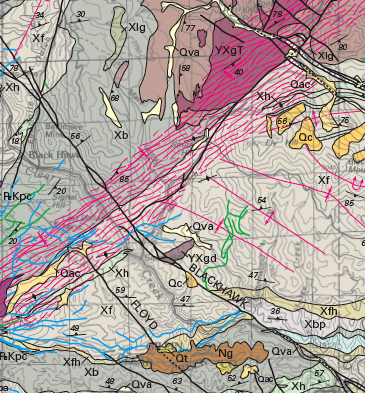 A picture may be worth a thousand words, but a good geologic map can be worth a thousand pictures. The geological story told by this map portrays 1.79 billion years of sedimentation, igneous activity, metamorphism, deformation, and erosion. Last week I said something nice about PETA: Sometimes PETA is right. But now they’re back to wackiness, as reported in Yahoo news:Mama’s milk ice cream cone, anyone? The PETA proposal came in a letter to the makers of Ben & Jerry’s ice cream, suggesting that they use human milk, rather than cow’s milk, in the production of their ice cream. To Ben & Jerry’s, the idea is udderly ridiculous. “We applaud PETA’s novel approach to bringing attention to an issue, but we believe a mother’s milk is best used for her child,” spokesman Sean Greenwood said in an e-mail. He didn’t respond to requests for an interview. “I think it’s a little nutty,” said the Rev. Roger Wooton, 83, of Malden, Mass., finishing up a cup of Heath Bar Crunch. Jen Wahlbrink, 34, of Phoenix, who breast-fed her 11-month-old son, Cameron, said she wouldn’t touch ice cream made from mother’s milk. She remembers her nursing days — and not that fondly. “The (breast) pumps just weren’t that much fun. You really do feel like a cow,” she said, cradling her son in her hands. I applaud efforts to treat cows nicely. But I’ll put this idea in the same PETA file as defending the rights of cockroaches.